My Samsung Galaxy Note 7 and My Worries! Update: Really a hassle! I returned the USB-C to micro usb adapter of my OCULUS VR2 with the Samsung Galaxy NOTE 7 box and this mean that I can’t use my S7 edge in the device. I tried contacted the Samsung store where I get my galaxy but it seems that they can’t find ways to help me with this issue. Update: Samsung Galaxy Note 7 is DEAD! Samsung finally close the door for their premium phone NOTE 7 after several “catching fire” incidents involving replacement NOTE 7 happened. 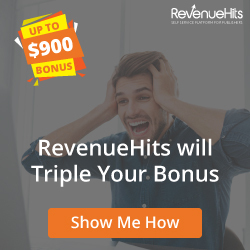 I already return my unit and avail the exchange. At first, I decided to get a full refund but later get a black onyx Samsung Galaxy S7 edge when Samsung offers a Php 4,000 rebates + Php 1,000 Gift Check (about $100) to downgrade. Now I’m hoping that they bring all NOTE 7 features to my S7E so that I will not feel like I lost my note. I own a Galaxy Note 4 and when the newest version of the phone was announced, I have decided that it is time for me to upgrade my phone. I like the new design of Samsung Galaxy Note 7 and since they return the expandable memory in the phone with water/dust proof features, I was convinced that this is it, I want it! So I pre-ordered the device via a local Samsung Store in Capiz, Philippines. Actually, prior to that I was planning to get the phone via my Globe Telecom subscription next year but because I can’t hold my excitement and want to avail the freebies included in the pre-order (Oculus VR2 & discounts in accessories) plus the 24 months zero percent interest payment plan ,I pre-ordered, swipe my card and get the phone last August 21. Then the “catching fire” fiasco came. At first I was not affected by it and twit Samsung Philippines (@SamsungPH) about the matter. That time they didn’t have an official findings about the Note 7 battery explosion but later they replied that they will replace my phone with a new one. I said, its great I will get a new one even I have used it only for more than a week and even I didn’t experience any issue with the phone. The News & My Worries! However, after I read a lot of news about the incident, I started to worry. Latest Samsung advisory strongly advised owners to turn off the phone and participate to their replacement program. Airlines banned the use of the phones and people looking Note 7 users differently. They feel that they are not safe around these phone users. 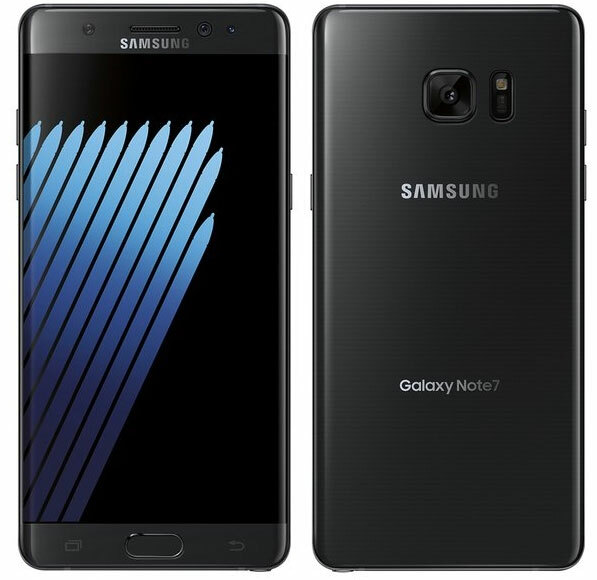 News are telling that someone was injured because a NOTE 7 exploded even it is not Note 7. Now, I am more worried of what will happen right after they replace my Note 7 with a safe one. Will the airlines ban be lifted and can I carry it around without people staring me like I’m a ticking time bomb? Of course I can’t bring the box with the blue S to show them that the phone is already safe. How will SAMSUNG convince people from believing in their products again and change this bad perception against them? Will the replacement program changes everything? 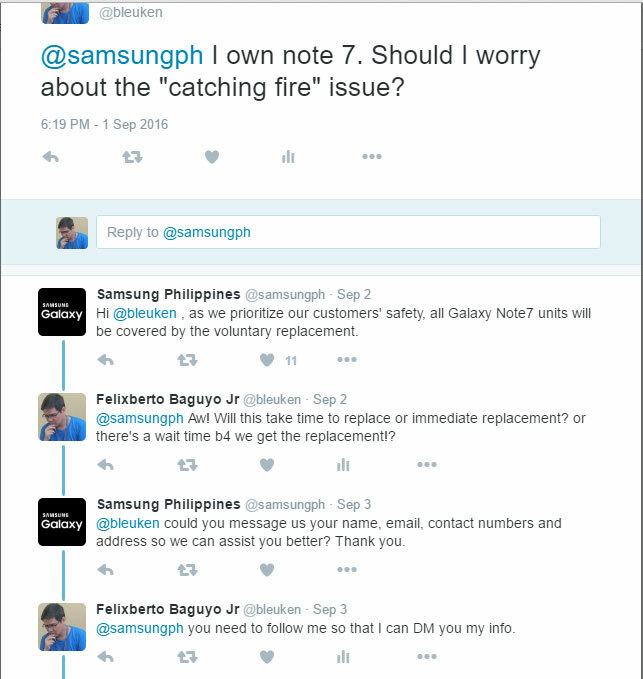 I don’t know if Samsung Philippines will be compensating us Philippine Note 7 users with the hassle and inconvenience that this problem have caused (I actually asked them via Twitter about it but I didn’t get a reply). If they will, well that will be great but I hope they fix the most worrying problem and that is the new SAMSUNG GALAXY NOTE 7 PERCEPTION. Update (10/8): I received the replacement unit last October 8 along with a free screen protector worth Php 399.00 and P1,000 Samsung Gift Check. I am reading a lot of news from the US right now saying that some replacement phones are still “catching fire.” 🙁 I am just wondering why all the so called explosions or catching fire of “safe Note 7” are happening in the US only and other affected countries doesn’t have a report like that. Hmmm…. Update (10/11): Samsung US updated their official statement regarding the NOTE 7 recall and asking customers to turn off their NOTE 7, the original and the replacement, and advice consumers to replace it with the GALAXY S7 or ask for a full refund. 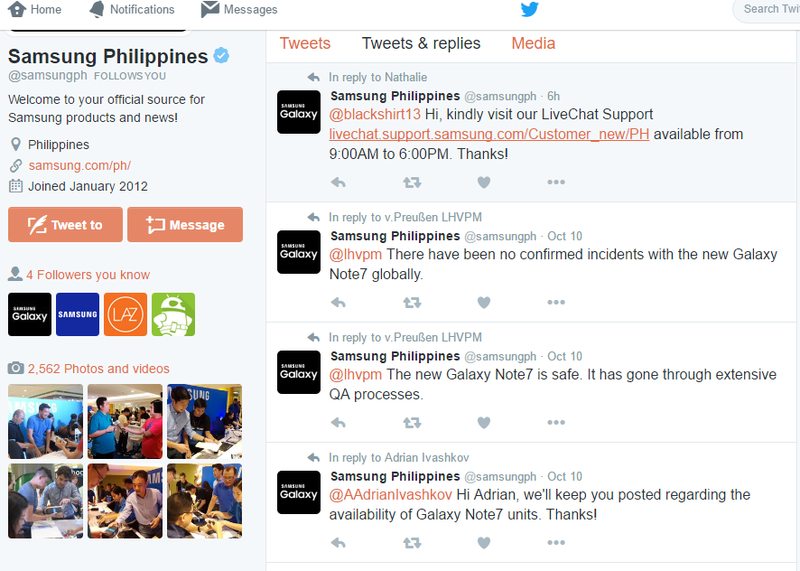 However, Samsung Philippines’s website didn’t update their official statement yet and even responses to twits prior to this date that the new safe NOTE 7 is safe. I guess it will change in a few days. Tsk, this really means that NOTE 7 is dead.